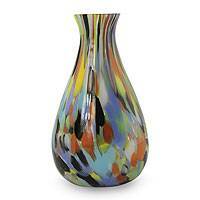 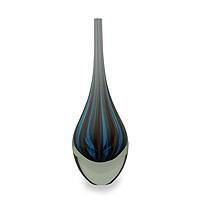 This stunning art glass vase captures the earthy blessing of rain in a fluid blue teardrop from the hand of the heavens. 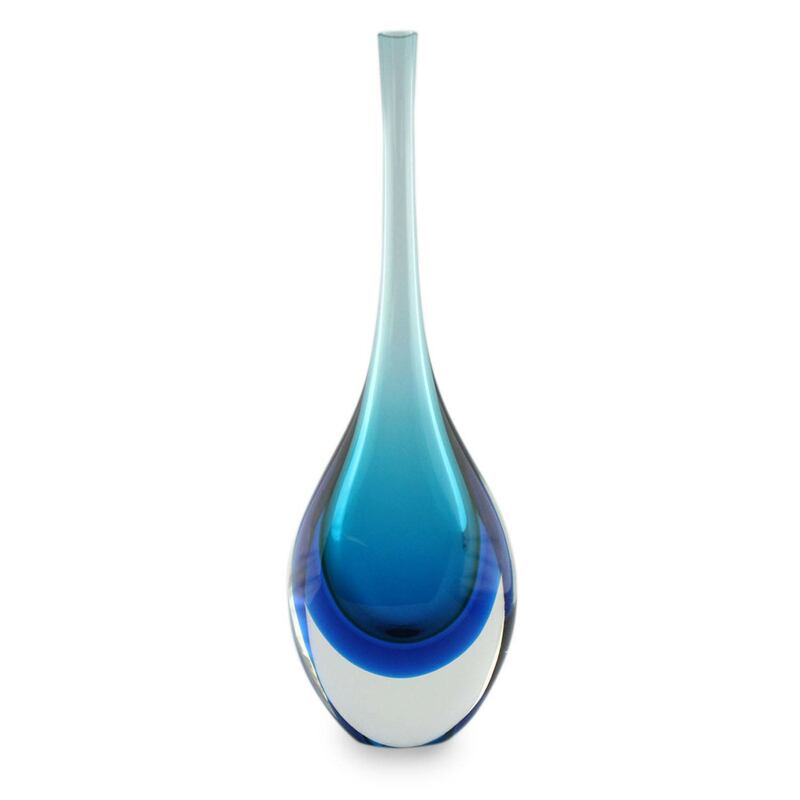 Hand blown by the Seguso Family in Brazil, this gorgeously elongated water droplet shimmers and dazzles through crystal clear glass. 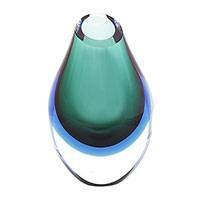 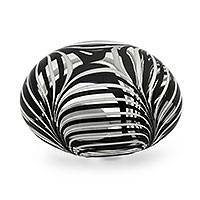 Placed wherever it will catch the light, perhaps with a graceful flower or two, this art glass vase will be an object of mesmerizing beauty.